Frank H. Furman, Inc.’s Roofing Risk Advisors listed as Top Specialist BrokerFrank H. Furman, Inc.
(Pompano Beach, Florida, March 10, 2017) Roofing Risk Advisors (RRA), a division of Frank H. Furman, Inc. is known for providing a competitive advantage to their roofing clients by structuring and managing proven risk reduction strategies in the roofing industry. 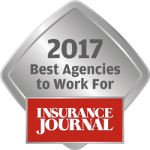 The agency is also now known as a Top Specialist Broker by Insurance Business America magazine. RRA is proud to have obtained the top honor through their substantial portfolio of best-in-class national roofing professionals. Frank H. Furman, Inc. established in 1962, launched a roofing division (Roofing Risk Advisors) to provide roofing specific risk management and insurance solutions for professional roofing contractors. Headed by Rob Foote for 25 years, Roofing Risk Advisors is focused on providing risk management consultation through experienced insurance advisors who are also experts in the roofing industry. According to the March 2017 issue of Insurance Business America magazine, numerous nominations of specialty insurance brokerages were received by the publication from across the nation. They narrowed the annual list down to 60 agencies who showed significant business and revenue in a single area of specialty. The selected agencies were referred to as the cream of the crop in their respective areas. 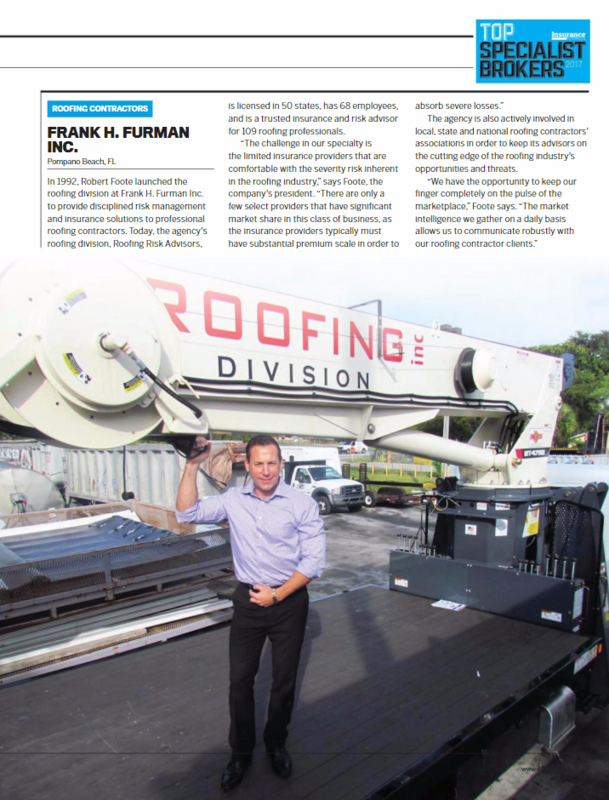 The selection of Frank H. Furman, Inc./Roofing Risk Advisors shows that a strong focus and industry expertise can provide exemplary results for roofing contractors. About Roofing Risk Advisors, a division of Frank H. Furman, Inc.
Frank H. Furman, Inc. was established in 1962. Rob Foote launched Roofing Risk Advisors, a division of Frank H. Furman, Inc. in 1992. Today, the agency is licensed in 50 states and is a trusted insurance and risk advisor for over 109 roofing professionals. RRA is a 15-year member of the National Roofing Contractors Association (NRCA) while Rob Foote also serves on the boards of the Florida Roofing and Sheet Metal Contractors Association (FRSA) and several local roofing associations. RRA focuses on being a trusted advisor who is on the cutting edge of the roofing industry’s opportunities and threats while assisting clients to achieve a competitive advantage in their chosen segment of the roofing industry. The brokerage creates an ease of doing business for roofing clients so they can focus on their core revenue generating discipline.